Will Deft make his LPL return in 2019? Following the departure of support Cho “Mata” Se-hyeong last week, KT Rolster AD carry Kim “Deft” Hyuk-kyu, jungler Lee “Rush” Yoon-jae, and mid laners Heo “PawN” Won-seok and Son “Ucal” Woo-hyeon have all declared free agency, KT announced via Facebook. KT thanked the four players for their time on the roster and wished them the best of luck in their future endeavours. Deft took to his personal Facebook to formally announce his free agent status, thanking the KT coaching staff and his fans. Deft and PawN first joined KT at the beginning of 2017 as part of the organization’s attempt to create the Korean “superteam.” While KT faced some struggles in 2017, the team became a dominant force in Korea come 2018, when Ucal became eligible to compete. With Ucal as the starting mid laner, KT rose to the top of Korea, winning the 2018 LCK Summer Split title. Entering the World Championship as Korea’s first seed, KT were knocked out in the quarterfinals by eventual tournament winners, Invictus Gaming. 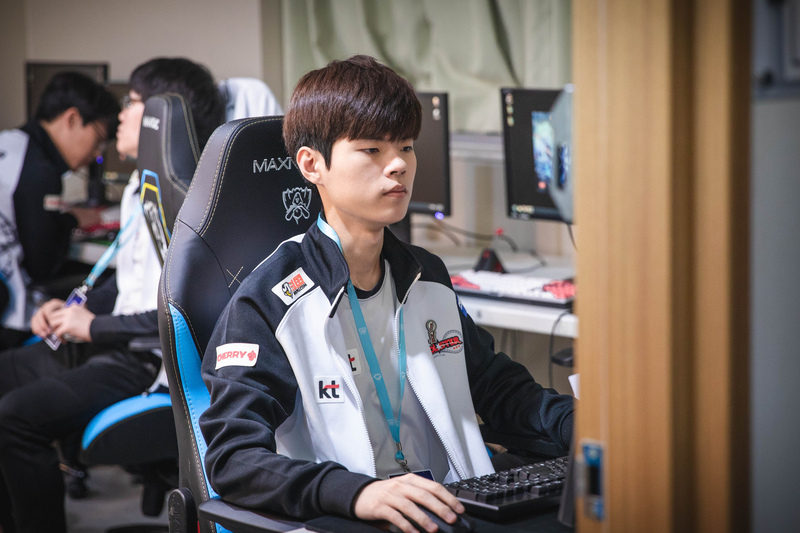 While never a starter like PawN, Deft, or Ucal, Rush saw some on-stage play throughout 2018. As a fan-favorite in the West due to his time in the NA LCS and on English streams, it’s unknown if Rush will try to remain in Korea or once again play overseas. The only players on KT yet to declare free agency are jungler Go “Score” Dong-bin, support Choi “Mia” Sang-in, and top laners Song “Smeb” Kyung-ho and Hwang “Kingen” Seong-hoon. KT has yet to announce any player or coaching additions to its roster for the upcoming season.